My success can be attributed to the fact that my family is very supportive of my career. My wife understands the demanding schedule and we plan things around my work schedule. It’s not uncommon for me to have a last second showing request and we adjust our plans accordingly. Just this summer we had to cancel a weekend trip to The Hamptons because a client decided to fly in from Monte Carlo to tour a $70,000,000+ penthouse. 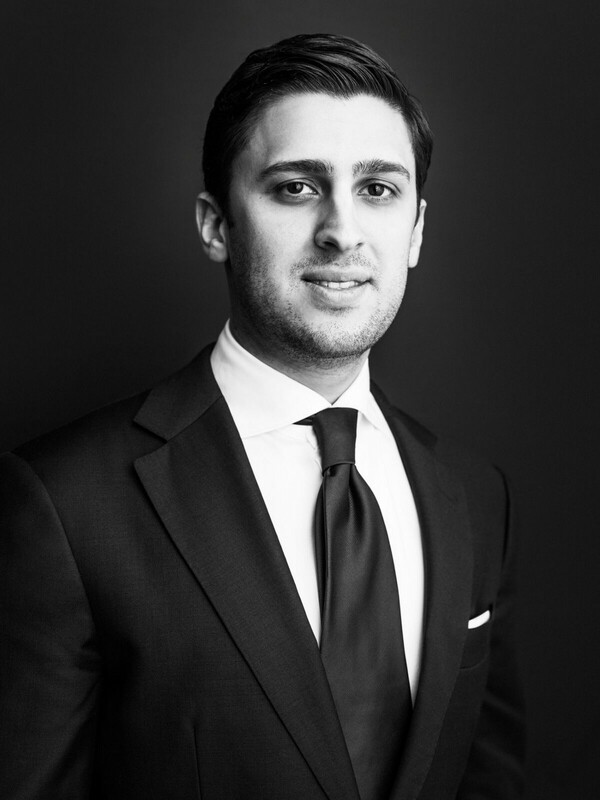 Alexander is one of New York City’s top-producing realtors. Spending half a decade with Douglas Elliman, he has overseen more than $400M in sales, and completed transactions in some of NYC’s most notable condominiums and co-ops. Beyond Manhattan, his successful track record of sales extends to the Brooklyn and Hamptons markets as well as an extensive network in Miami and Palm Beach. In addition to representing sellers, buyers and investors, Alexander began focusing on new development sales in 2014 where he has also achieved record-breaking sales. Besides handling sales, he works alongside developers advising them on floor plans, finishes, stacking plans, marketing and other key aspects of their projects. Alexander is committed to serving his clients, and does so with honesty and discretion. He takes great pride in his profession, and with an unparalleled work ethic, makes himself available 24/7. “My relationship with my clients is very important to me and goes way beyond the transaction.” Alexander’s services are not limited to just the sale. He collaborates with the industry’s best photographers, stagers, architects, graphics designers and publicists to cover every base. 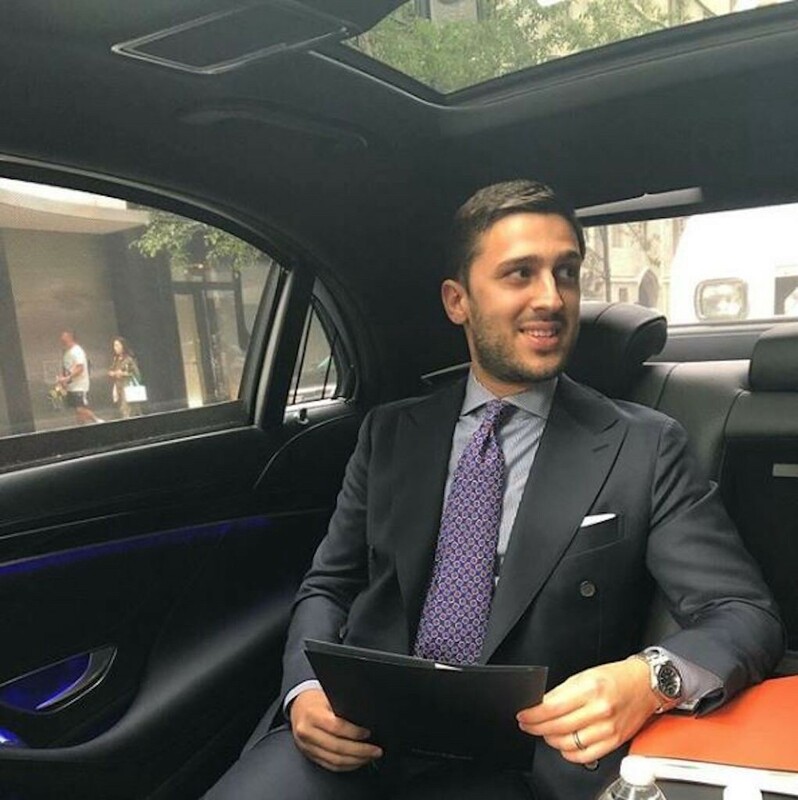 His high-level network of connections allows him to offer his clients the top attorneys, mortgage brokers, bankers, and anything else they may need. Alexander holds a B.S. in Economics degree with a double minor in Accounting and Sociology. Outside of work, he is a huge proponent of giving back and supports various charities. “If you are fortunate enough to be able to give, you owe it to the world to do so”. He also enjoys traveling the world and taking the time to enjoy New York City with his family. I have loved working with people my entire life. And loved working hard. So much that when I was 12, I convinced the owner of a local bagel store to hire me despite me being under the legal working age. I started as a stock boy making $3/hour and was the happiest kid on the planet because I was able to start making my own money. The funny thing is that I didn’t really “need” the money as my parents supported me and would buy me whatever I wanted (within reason). 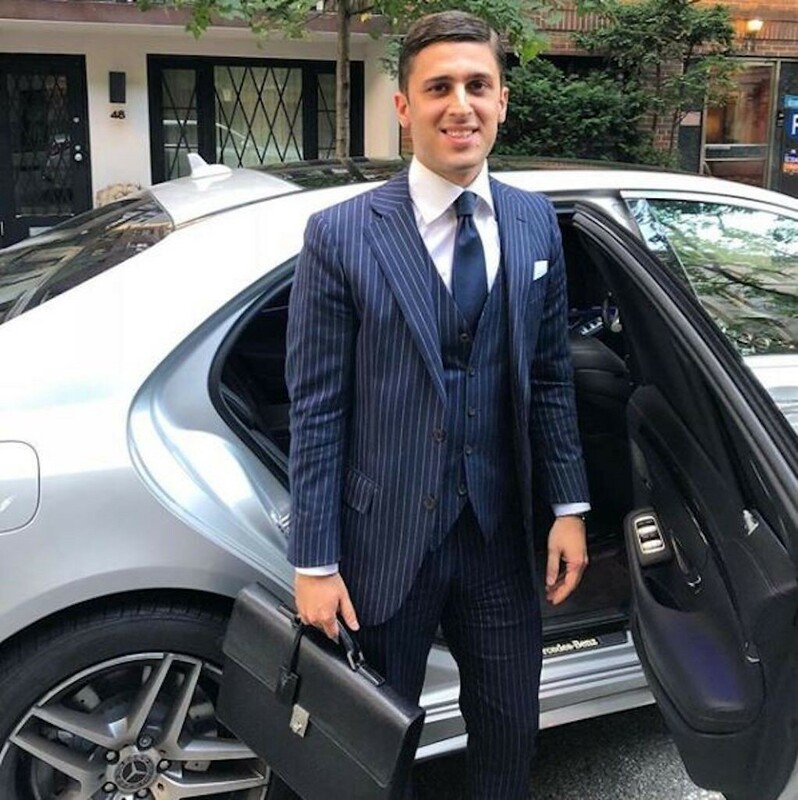 After graduating from Baruch College in New York City, I partnered up with a friend and started Best Buy Auto Leasing (an auto brokerage leasing and selling new vehicles all across the United States). While we grew the company over 7 years, I always wanted to get into the real estate business. Particularly the brokerage side. I loved real estate, sales and working with people. Plus I used those seven years to read up about the market and transactions and study market trends and random building comps. I thought it would be a great fit but it took me quite some time to build up the courage and leave a company I spent so many years growing. But I realized it was now or never, so I sold the company to my partners (there were three by this time) and never looked back. One of my first deals was a condo in Tribeca that was around $3,000,000. I was representing the buyer and the listing agent happened to be one of the biggest realtors in New York City. There were so many moving parts to this deal that the listing broker (clearly more experienced than me) thought it would be best to meet in person and go over everything. An hour before our meeting he called me to tell me that his showing was going to be extremely late and asked if he could send his driver to pick me up and bring me to where he was going to have this showing. As you could imagine being just one year in the business, my schedule was very flexible. So I went to meet him and when I walked into this home I realized it belonged to a major A list celebrity. His appointment was over an hour late, so after we concluded our negotiations I spent that time learning about him and how he found success in the business. It was very surreal and certainly inspirational and the fact that this broker took his time to tell me about his story and told me that he knew I was going to make it in this business was a huge boost in confidence. So whenever I meet an agent that’s new to the business now, I take my time to be as helpful as possible. Funny thing is that deal never worked out but four years later I would wind up selling that same apartment to another one of my buyers. And we went on to do other transactions together. The biggest challenge professionally was when I got into the business. I had to learn a new business and find my own clients. I would go on to email and call everyone I knew when I got started. I told them that that I was now a real estate agent and that I was their go-to person. Of course so many of these clients from my previous business, friends, and family members had their own agents and their own relationships. And it was really hard to get business once I got started. I remember going from building to building trying to meet people who lived there. I would ask the building staff to recommend me if anyone was looking to sell their apartment. I sent mailers to buildings (not knowing how to properly create a marketing piece) and of course going out and networking to try and meet clients. It was a really big challenge, but I overcame it by learning and not giving up. If I got a dollar for every person that said no to me, I could have retired by now. I did the best job possible for the few clients I had and spent the time learning the business and trying to become good at it. Those clients started to slowly refer me and at that point I had learned a lot about the business. Because I had already built up a track record, I was able to join a top team and started helping them work on their business. Then, because of being more experienced and achieving an even better sales record, I was able to get into selling new developments. After a while my book of business grew and I plan to keep growing it for many years to come yet treating my clients as if they were my only one. I think leadership means inspiring others and translating your vision into reality. I hope that I best inspire others to lead by example. By being honest and putting my clients’ best interest first, by helping others, and by being kind. I hope that by showing people how much I care about what I do and how hard I work at it I can inspire them to be leaders at whatever it is that they want to do. I can’t say that there is one particular person who helped me get to where I am rather a long list of people who each helped in their own way. From clients that chose to work with me to other agents, brokers and managers who gave me good advice or perhaps made an introduction to someone else that wound up helping my career. One example of which is a person who was a client from my days at Best Buy Auto Leasing. When I got into the real estate business, this person was nice enough to hire me as their real estate agent when looking for a new home. Not only would we go on to do multiple transactions over the years, but because of their involvement in real estate development, I was able to expand to new development sales business. It wasn’t difficult but that’s’ due to the fact that my family is very supportive of my career. My wife understands the demanding schedule and we plan things around my work schedule. It’s not uncommon for me to have a last second showing request and we adjust our plans accordingly. Just this summer we had to cancel a weekend trip to The Hamptons because a client decided to fly in from Monte Carlo to tour a $70,000,000+ penthouse. My career is such an important part of my life and I am so determined to reach my goals that it is not difficult to fit my life into it because it is my life. Yes, but as I mentioned before being successful in this business is such an important part of my life that it’s easy not to focus on other areas. And it wasn’t too much of a sacrifice. I always make sure to be focused on my family and spend time with them. I do sometimes wish that I had more time for a few hobbies but I’ll figure out a way to squeeze some in down the line. Always leave some room for personal time in your schedule. If things get hectic and you need to move that time around, that’s fine, but make sure that you have it somewhere in your schedule and that you actually take that time. Use technology to your benefit. If a certain meeting can be held via phone or FaceTime, do that. You can then use that travel time for something personal. Hire people. Hire people to do tasks that take up a lot of time, but aren’t the best use of yours. If you are in sales but spend half of the day doing paperwork it could make sense for you to hire someone to do the paper working using a portion of that time to bring in more sales and the rest of that time doing something for yourself. If a certain event or occasion is extremely important to you than whatever work opportunity may come up, you have to learn to say no. Build your personal schedule around your work schedule. If you want to meet with someone, make it happen before or after a work commitment. Making my clients, family and friends happy. And of course helping those in need. Setting a few sales records along the way doesn’t hurt as well. It would be to inspire others to volunteer somewhere once a month. It could be a soup kitchen, nursing home, hospital or a hundred other places. As much as I believe in donating money to charity it’s just as important to donate your time. A lot of people out there could use a person to spend some time with and show them that someone cares about them. I’ll never forget reading a quote that the rapper Jay-Z said post-Hurricane Katrina — “Sure, I ponied up a mil’ but I didn’t give my time. So in reality I didn’t give a dime”. This always stuck with me.